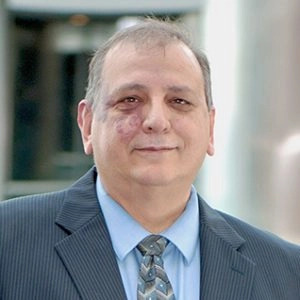 Greg Gorgone, CPA, oversees all accounting, finance, HR, recruiting and contracting functions in support of the company’s growth and strategic plans. He also provides strategic counsel, integration planning and execution, and due diligence leadership in support business acquisition research. He joined the company in 2002 and reports to the CEO, Alba Alemán. During his tenure with Citizant, Greg has overseen major recapitalization and refinancing efforts. He was instrumental in developing the company’s financial management systems, including implementation of Deltek’s CostPoint® ERP solution and electronic timekeeping system. He is the primary liaison with all outside auditors, bankers, lawyers, and corporate risk managers. He is a seasoned business and financial manager with more than 35 years of experience in accounting, finance, corporate tax, government accounting, and systems design and implementation. Prior to joining Citizant, Greg had a 20-year career with American Management Systems, Inc. (now CGI), most recently as deputy controller and vice president. There, he oversaw financial management of a $1.2 billion enterprise. Greg was instrumental in the design and implementation of an in-house finance and accounting system, was the primary liaison with outside auditors, and led the due diligence and integration planning for several acquisitions. He also led the planning and implementation of AMS’s first multinational, multicurrency credit agreement, which was needed to service all the company’s subsidiaries around the world. Greg is a member of the American Institute of Certified Public Accountants, the National Contract Management Association and the Virginia Society of CPAs. He earned a bachelor’s degree from Strayer College and a certificate in federal government contracting from George Mason University.